I was raised in Copeland, Kansas, and I attended South Gray High School in Montezuma. After receiving my Associate’s degree in Accounting from Seward County Community College, I transferred to Wichita State University. In 2017 I graduated with my Bachelor’s degree in Finance. 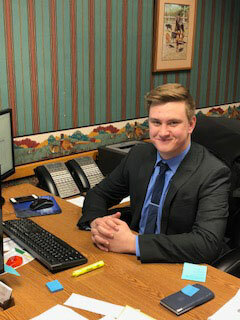 My work experience includes interning for a political fundraising company, interning for a financial planning firm, and working as a sales associate in the insurance industry. Having majored in Finance, I enjoy seeing how national and global events affect the stock and commodities markets. My wife and I currently live in Liberal, Kansas.